Here’s another shot of a new model called The Blunt. 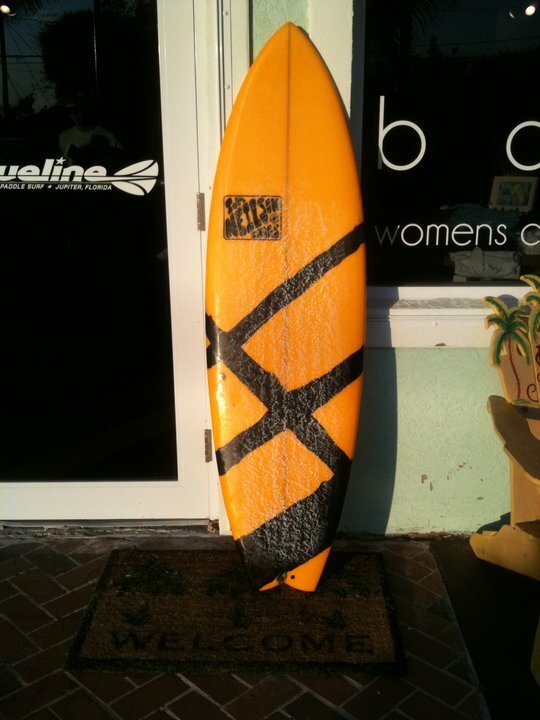 This one is 6’4″ x 23″ x 2 7/8″ built with stringerless EPS. You can get it set up as a Quad or Quad with single box. Super rippable small wave machine. One of the most fun boards in my quiver now. Wave catching machine that nose rides turns on a dime and makes surfing just insanely fun. 1. 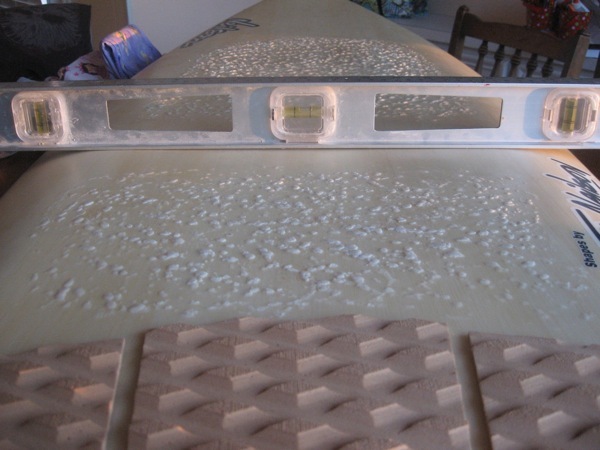 To eliminate a bit of foam to get rid of some float. This was an alternative to getting a smaller board. The guy riding this is 6’2″ and the board is a 5’10” so going smaller wasn’t ideal. 2. To create a more “locked-in” feel to the board, similar concept to having a concave vs. flat deck on a skateboard. Got some fun waves today on the Floatey Fish. The more I ride that board the more I like it. Today was chest/head on sets and super glassy. Lots of barrels and steep/late drops. The concave deck really inspires confidence knowing my feet are locked into the board. I was surprised how well the Floatey Fish handled it. I usually would’ve ridden my Rocketfish, but the water was 44, so I wanted a bit of float with the hooded wetsuit/booties/gloves. 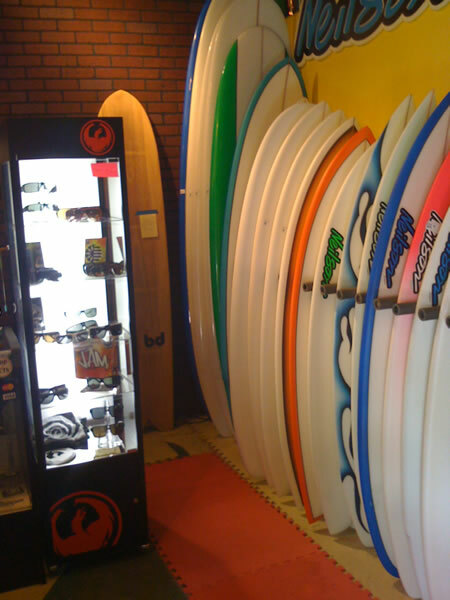 The beauty of custom surfboards. You can get EXACTLY what you want. This is the “Sting Fish” model, a mid-length stretched out Sting Fish. Great for catching waves! 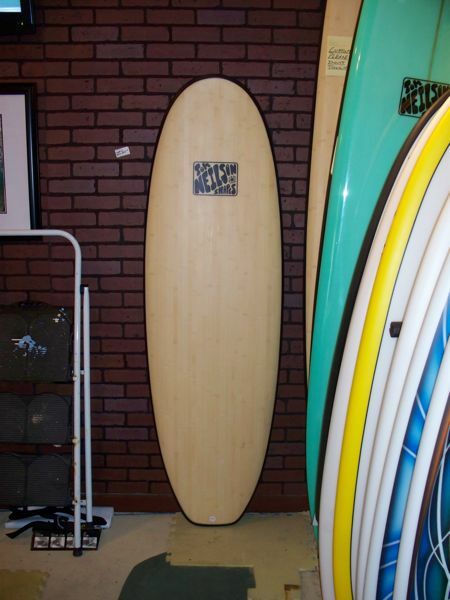 This one is 6’6″ x 20″ x 2 3/4″ and is currently available at the shop for $475. This one is built in the bamboo/carbon construction. The Blunt is a wave catching machine, sizing based on your needs.